Our clothing says a lot about us and helps us define who we are to our acquaintances, friends and people passing by. A style all your own displays your personality. A style of pants that is sure to be like no other are pants handmade in Thailand like the thai fisherman pants at KhwanPants.com. These pants are also called Samurai pants. They have an embroidered waistband and embroidered ties at the ankles. The interior of the pants is a contrasting color or design from the exterior for an interesting contrast. 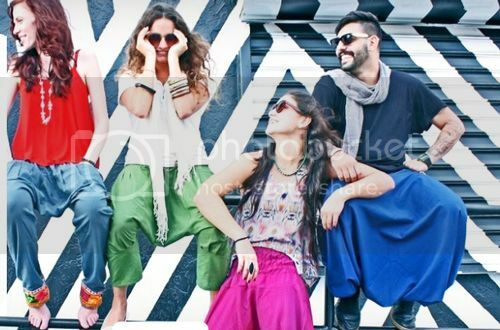 Thai Khwan pants are made from 100% cotton and come in many different colors and plenty of fun prints so you can express yourself. Similar to harem pants or the droopy jeans style, Khwan pants are purposely made to be more comfortable in the crotch area. Different leg and waist styles in addition to choice of color and or patterns make it possible for each pair to showcase a personal choice. The numerous designs available are sure to please anyone looking to make a fashion statement. Skinny leg Khwan pants are tight to the knees for a modern look and others have a loose fit from waist to ankle. The loose fit and elastic waist make them great to wear for yoga or martial arts practice. A different style comes with hand embroidered pockets and ankles. There is even a style that comes only to the knee! These pants are a sure fashion statement.